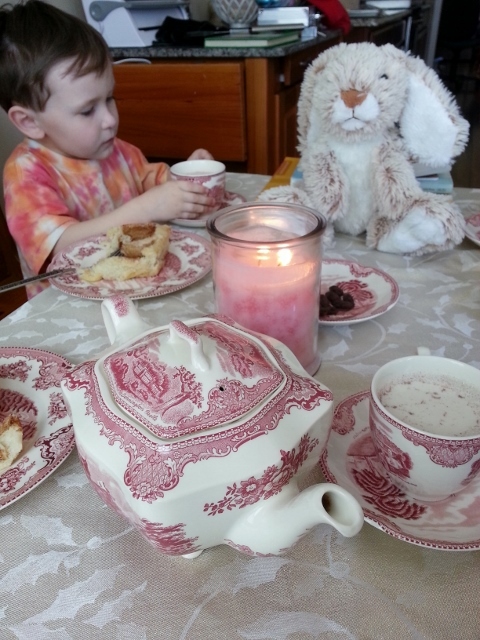 Poetry tea time is our family’s favorite homeschool lifestyle practice adapted from Brave Writer. 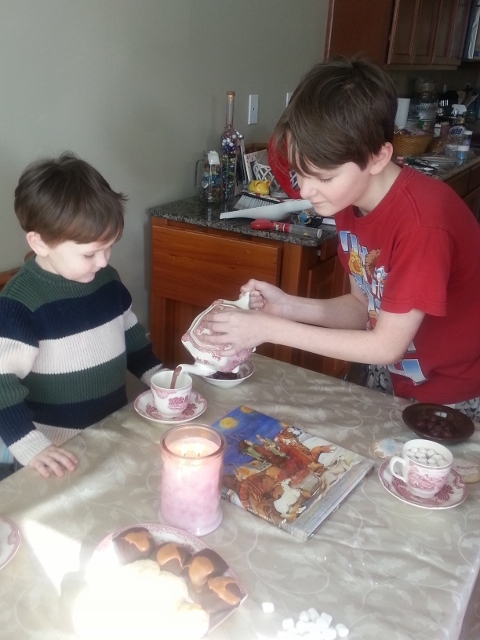 Even my boys love poetry tea time and the little one begs for “poetry but not tea” every day. I must admit that I totally bribed my kids into loving poetry with sweet treats and a lovely table scape. We’ve been practicing poetry tea time for about eight months now. Even during our move this year we kept up with the practice. At first my children just loved the sweets, fancy table and lit candle. Over time, however, they found their passion for poetry…for beautiful words woven together sometimes delightful and other times heartbreaking. Poetry is raw, a distilled expression in the artistry of language…purer than prose. 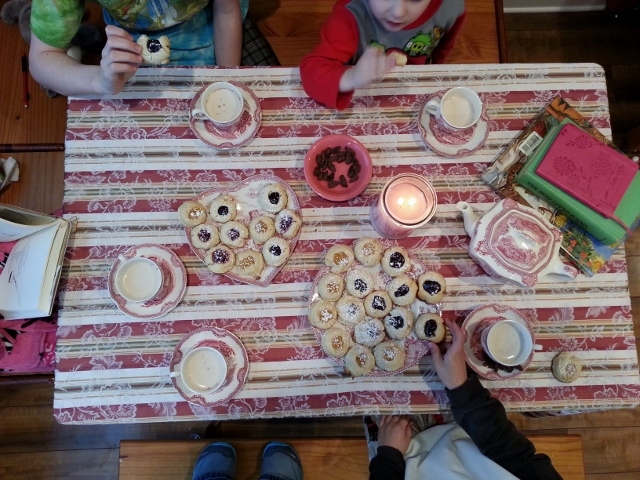 This time together is the heartbeat of our homeschool lifestyle and even when we take a break from formal schooling we still meet together for poetry tea time on Tuesday afternoons. We are not the only one’s who love this practice. There is a lovely tribe coming together through Brave Writer. We share, support and encourage one another. What I love the most about this group is that we accept one another…right where we are: secular, (whatever) faith, die-hard Classical to radically free unschoolers and everything in between. 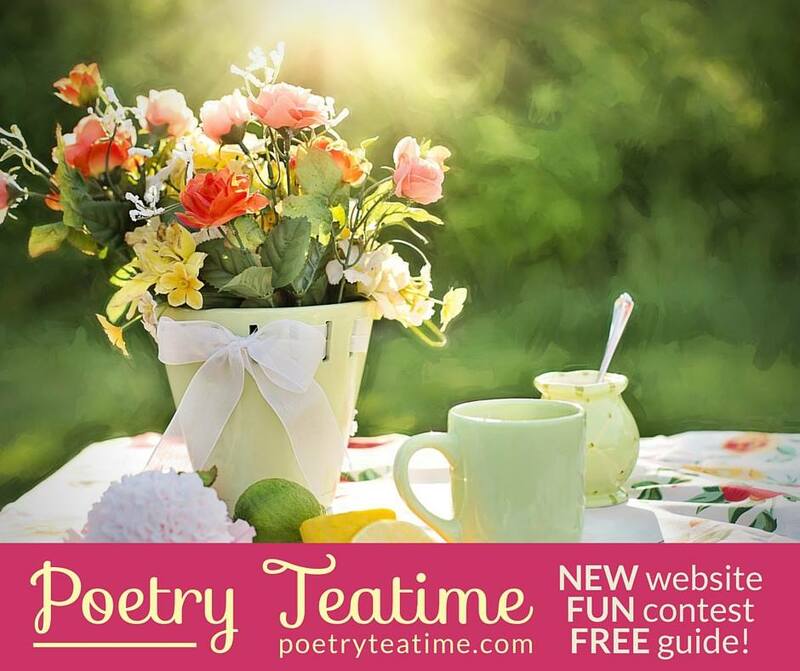 Brave Writer is launching a Poetry Tea Time website tomorrow. If you are interested in bringing this practice into your home (you do not have to be a homeschooler!!!) then all the information and inspiration you need will be available in abundance on the site. A couple of Julie’s scope about poetry tea time: Big Announcement and Time for Tea and Poetry. Kindergarten is better than preschool! Nacho night at church…our favorite! Homeschooling mother to four children. Amateur knitter and bourbon enthusiast. I think it is wonderful that you have creatively taught your children how to appreciate and ENJOY a setting for poetry. It becomes an experience rather than simply a reading. From a child’s perspective, this likely enhances the entire experience. Appreciation for life’s creative skills (ex. poetry) is all part of a healthy BALANCE in life. Your children will benefit from this (probably) more than you realize. “There is a lovely tribe coming together through Brave Writer. We share, support and encourage one another. What I love the most about this group is that we accept one another…right where we are: secular, (whatever) faith, die-hard Classical to radically free unschoolers and everything in between.” I love this. Absolutely, I agree completely with this. I love our tribe of Braveschoolers! This is lovely. The time you take to set the table and make everything inviting turns your tea and poetry hour into a wonderful , enriching ritual. Reblogged this on Rose in Bloom. And, I love the china. Oh that red!